Giordano Construction advises all their customers how to care for their concrete over the winter months to ensure that your concrete product does not get affected from harsh corrosive ice melts or salt. Be sure to follow the acceptable list of products suggested to keep your concrete looking like new. The use of a plastic shovel is also recommended as this will eliminate any scratching or damage to stones on exposed aggregate. 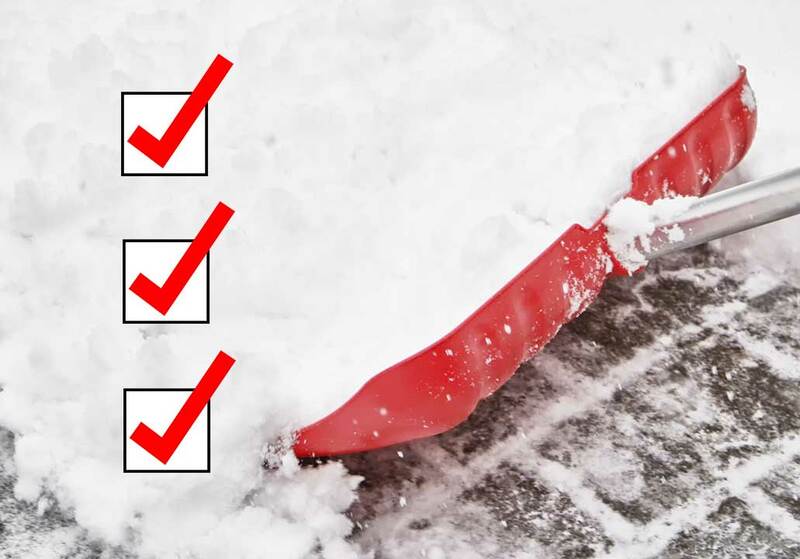 Snow removal with a truck blade should have a plastic guard along the bottom blade to avoid scratching on the surface and should use extra caution and be positioned slightly above to prevent any damage. The use of snow blowers are acceptable, however ensure that the rotating blades do not come in direct contact with the concrete surface.